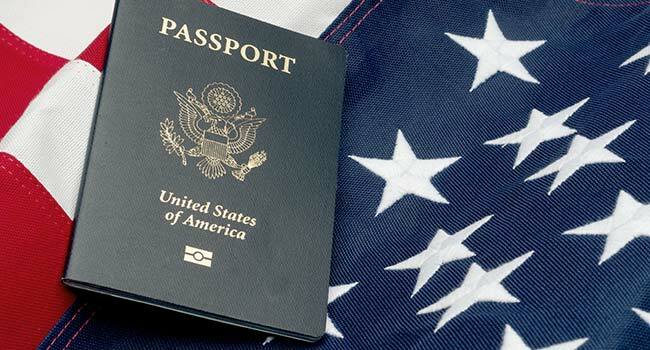 Anyone in the US regardless of age must have his or her own individual US passport when traveling abroad. This implies that if, you and your newborn baby and/or minor children are traveling abroad, they will need their own passport. The process of applying for a US passport for a newborn baby is the same as applying for a US passport for minor children under 16. Once granted, US passports for newborn babies and children under 16 are valid for 5 years. US passport applications for newborn babies and children must be submitted by the parents in person at a passport agency or passport application acceptance facility. To apply for a US passport for newborn baby or child under 16 years old, follow the newborn passport application steps outlined below. Download Form DS-11( https://pptform.state.gov/?Submit2=Complete+Online+&+Print), Application for a US Passport, from the USCIS website. The passport applicant (in this case, the infant) has to apply in person. This implies that the parents or legal guardian must bring the baby when submitting the application in person. Any one of the following can be submitted as evidence of US Citizenship. If you have nonimmigrant status in the US (H1/H4 visa; L1/L2 visa, etc. ), you should bring a certified birth certificate issued by the city, county, or state. You have to apply for the birth certificate at the time of birth. The hospital authorities usually guide parents on applying for a Social Security Number and birth certificate immediately after the birth of a child. You must produce a certified birth certificate that has a registrar's seal, signature, and the date on which the certificate was filed with the registrar's office. Apply for birth certificate as soon as the baby is born or within one year of birth. Keep in mind any immediate travel plans along with the newborn and plan accordingly. Evidence of Name Change such as a copy of marriage certificate must be submitted if the name of a parent/guardian has changed since the original documents were issued. If only one parent can go in person with the child then attach Form DS-3053 “Statement of Consent" to the application. If only one parent is in the picture, either show proof of sole custody of child or get a court order to get the other parent to sign the Form DS-3053 to explain the ‘special circumstances’ section. If you do not have any proof of identification listed above, you can present the following secondary proof of identification to verify your personal identity. Please note that you have to present ALL the documents. They are not considered valid if presented alone. If you have twins or quadruplets and you are applying for more than one passport, you must include a photocopy of each parent/guardian ID document along with each newborn baby's individual passport application. No combined applications are accepted. This implies individual applications for each child with its corresponding documents. You must attach photo copies of all secondary identification, if any with your application. An assistant to a disable applicant who witnesses the signature or signs on the disabled customer's behalf must present a photocopy of his or her ID. Both parents of a newborn baby must appear in person and sign the DS-11 in the presence of the Acceptance Agent. However, there are some exceptions. Submit a notarized written statement or affidavit from both parents of the newborn baby or guardians authorizing a third-party to apply for a passport. If only one parent is applying, he must do the following. If a written letter from the non-accompanying parent is provided, the letter should be less than 3 months old. If a written letter from the non-accompanying parent is provided, the letter should be less than 3 months old. Please provide two color photos of the newborn baby. The photos must be identical and 2 x 2 inches in size. The photos must be recent since appearances change frequently. The photo must have the baby's full face, front view with a plain white or off-white background. No one else should be present in the photograph. If the baby is unable to sit upright, the picture may be taken with the baby laid down on a white surface. For more information about services for newborns in the US, the following links may be useful.